You are currently browsing the tag archive for the ‘photograph’ tag. This signed photograph of Dame Ellen Terry (1847-1928) as Volumnia in Shakespeare’s Coriolanus is a treasured possession, left to me by the actress Rosamund Burne [? – 1975]. Ros was a close friend of my mother, Benedicta Leigh — both had worked together on stage in the Midlands during the late forties and early fifties. They remained friends until Ros died ‘in harness’ in 1975 while playing Queen Mary in a production of Crown Matrimonial by Royce Ryton. Contained in a weathered, black leather frame, the photograph provides an evocative link to a long-gone generation of actors. 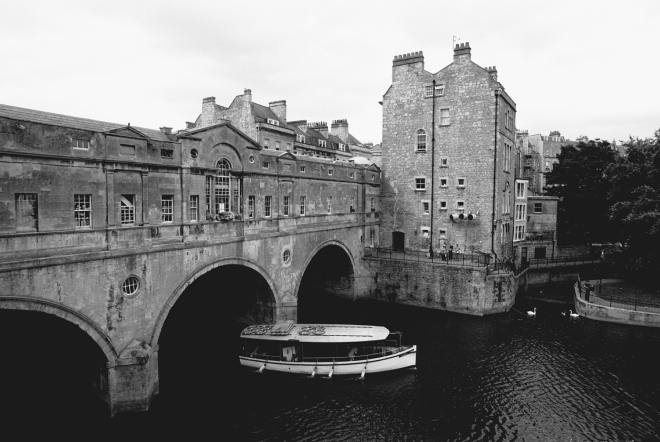 Sadly, I have no knowledge of the picture’s provenance, other than that it was mounted and framed by art dealers and frame makers T & R Annan and Sons, established in Glasgow by photographer Thomas Annan in 1855. 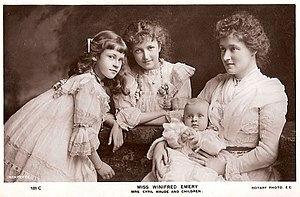 It is addressed to “Winnie – In affectionate remembrance of Ellen Terry – 1902” but who was ‘Winnie’? Was she an admiring member of the audience, a fellow actress, a theatrical landlady, perhaps? Winifred Emery married Cyril Maude who was famous for his ability in light comedies from the pens of such as Frederick Lonsdale. Though born in 1862, Maude was still working as late as 1947, appearing as the Old Admiral in the film version of Rattigan’s While the Sun Shines, directed by Anthony Asquith. Could Ros Burne have met or worked with either Winifred or Cyril and been given the picture by ‘Winnie’ herself if, indeed, this is the correct Winifred? It is just possible, even though Winifred died in 1924, for Ros was born in the early years of the 20th century and had not, to my knowledge, even reached the age of twenty when she started learning the ropes under the watchful eye of Lilian Baylis at the Old Vic. I may never discover the full story behind the framed photograph but nothing can diminish the joy I take in its possession. Inspired by Edward Steichen’s portrait of Hollywood actress Gloria Swanson covered in lace (Museum of Modern Art). A thin, smooth paper designed for photo printing with the optimal color vibrancy —a solid choice for all your printing needs. I’m feeling less than divine at the moment but I hope you enjoy this exquisite image of my namesake which you can buy as cards, postcards and posters. The great French stage actress of the late 19th century, Sarah Bernhardt (1844-1923). Since the above isn’t the kind of work I normally do, I’m not at all sure whether the image is effective. It’s part of a photograph of a rose I took a few days ago. It wasn’t actually snowing — I was inside — but I ‘painted’ it in Corel Painter and purposely left the specks of white as if there had been a gentle sprinkling of snow…or does it look like dandruff? I finished it off with a texture by Kerstin Frank. Does it have any appeal? I’m delighted with the effect of a Kerstin Frank texture on my photograph of a run-down shed in my friend’s garden! It’s time for another of my Edward Steichen-like Hollywood makeovers. When I’m in need of some glamour, I head straight for the silent movie headshots of the 1920s, especially as found on Hello Tuesday at Deviant Art, which is where I discovered this photograph of Louise Brooks. Some of you may remember that I was originally inspired by Edward Steichen’s famous photograph of actress Gloria Swanson covered in lace (Museum of Modern Art). I’ve already done one such of Louise Brooks and this is ‘Take 2’! In what one might say is now time-honoured fashion, I overlaid Brooks with this lace effect vintage wallpaper from MGB-Stock. For more Hollywood Tattoo makeovers, click here. This photograph of the Venetian Harbour in Chania, Crete, was taken by me on this occasion and not Mr FND! My idea was to create a watercolour with the gentle lines of a preparatory drawing showing through. My first layer was the bluewatercolor from Angie Makes in Photoshop’s Normal mode. This I followed with the Beguiling-18 texture from 2 Lil’ Owls in Linear Burn. As you can see, I’m getting a lot of mileage out of those two backgrounds! Next came the Venetian Harbour which I put in Screen mode. To create the line drawing, I used the Trace Contour tool; this is not the best tool in the world but since I wanted the bare minimum showing, I knew it could work. To top it off, I used another 2 Lil’ Owls texture, 2LO Confetti 8. Putting the latter in Multiply mode was the perfect finishing touch. The last time I tried to create a watercolour effect with this photo — some years ago now — it was disastrous and very obviously ‘Photoshopped’ using their ‘watercoloor’ tool. Not a good idea. I’m much happier this time round! Incidentally, the mosque in the centre of the picture is the Mosque of the Janissaries, now an art gallery. If you ever find yourself in the harbour, by all means have a drink but don’t, whatever you do, eat a meal. The quality is appalling and you would be better off going up the side streets to find good, authentic food. Most important of all, avoid the taverna that sells very pink and very green cocktails — coloured fizzy water at best! We were each offered one for free having allowed the owner to do a quick run round the harbour on my mobility scooter. Never again! Pour into a tall glass with some ice. No, I’ve never come across Midori either! “Believe me, my young friend, there is nothing – absolutely nothing – half so much worth doing as simply messing about in boats.” The Wind in the Willows by Kenneth Grahame. So says Ratty to Mole in the first chapter of Kenneth Grahame’s classic tale, only to crash straight into the river bank. Ah, bliss. I feel much the same when it comes to messing about with photographs and textures to create something unique. Sometimes I crash; sometimes something wonderful and unexpected happens. Such was the case with Tangle Mountain. 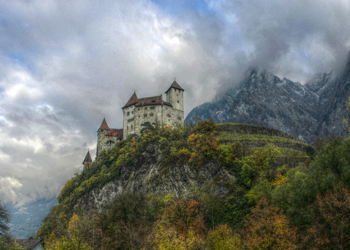 I began with this intriguing photograph of a castle in Liechtenstein by Karpati Gabor downloaded from Morguefile. I was particularly struck by the seemingly painted effect of the land and castle. The latter looks as though it has come from a Tim Burton animation. via Tangle Mountain: Playing with Textures. Continue reading: Great Uncle Norman: ‘shot by a single sniper’ | First Night Design. Update 21-10-14: Alas, the Wilde family have very strict control of their famous forebear’s work and this wonderful image has not been allowed so is no longer for sale at my Zazzle vintage store. New to my vintage store on Zazzle is this glorious sepia photograph of the inimitable Oscar Wilde. It was taken in 1882 by Napoleon Sarony and hangs in the Metropolitan Museum of Art. I was able to use it as the image is in the public domain on Wikimedia. “Ah, every day dear Herbert becomes de plus en plus Oscarié. It is a wonderful case of nature imitating art.” Wilde commenting on actor-manager Herbert Beerbohm Tree’s unwitting acquisition of certain on-stage character traits in a Wilde play in his off-stage life. My latest abstract is the result of a happy accident. I began with the idea of creating a faux vintage picture with an animal, in other words, something along the lines of the image below (genuine vintage). But as soon as I blended a background from Textures of Italy and a photograph of a goat that I took a couple of years ago, I was so delighted by the shapes, textures and colours, that I wanted go no further. I have no doubt I’ll be doing my faux vintage animal in the near future, though. My great-grandmother, Lucia, was a gently beautiful woman. I have late Victorian photographs to show me just how charming she was to look at and last week I created an image with her as the centrepiece. This particular photograph (below), which admittedly stands on its own, was exquisitely hand-tinted. Being me, however, I wanted to embellish it! I used my own textures and backgrounds alongside one from The Graphics Fairy and one from Deviant Art.